Above is interview with Thelonious “Skinnyman” Searcy Dec. 7, 2018, about Judge Timothy Kenny’s ruling on his wrongful conviction in 2005 for the death of Jamal Segars. Searcy is at bottom right, listening as his attorney Michael Dezsi plays recording for Vincent Smothers of his confession to the killing, which he graphically acknowledged during earlier hearing. 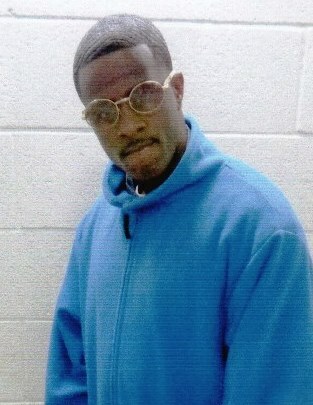 Thelonious “Shawn” Searcy, in prison 14 years, says he is not guilty. 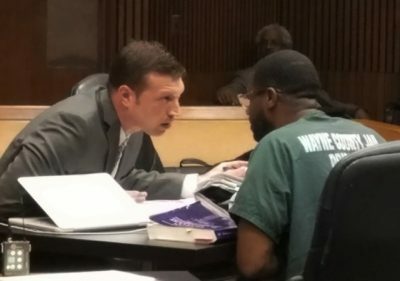 DETROIT – Wayne County presiding criminal court judge Timothy Kenny denied Thelonious (“Shawn”) Searcy’s motion for a new trial in the 2004 murder of Jamal Segars Dec. 3. The nine-page order addressed an evidentiary hearing that lasted six months through June 29, which exposed in stunning fashion the depth of corruption present in all branches of the County’s Third Circuit Court judicial system. 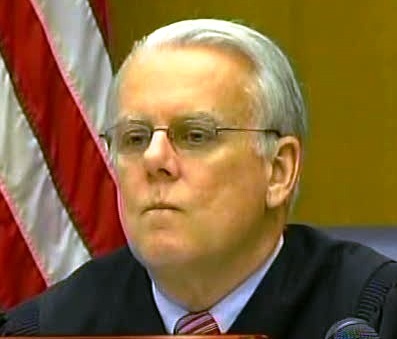 Judge Kenny is expected to become the Chief Judge of both the criminal and civil divisions of that court on Jan. 1, 2019, according to an announcement from the Michigan Supreme Court, which says current Chief Judge Robert Colombo is phasing into retirement. The Michigan Supreme Court is currently considering an amendment to MCR 6.502 which would add an “actual innocence” waiver provision regarding time limits on court filings, in line with that used in other states. Presiding criminal court Judge Timothy Kenny. A disputed forensics envelope was opened and independently examined during the evidentiary hearing. It contained one of the .40 caliber bullets the medical examiner found in Segars’ body, in keeping with Vincent Smothers’ testimony that he used a .40 caliber gun to kill Segars. It had been labeled as a .9 mm shell casing. The ME identified several other .40 caliber bullets as well. Trial AP Patrick Muscat claimed a .45 caliber gun he presented at trial was the murder weapon. 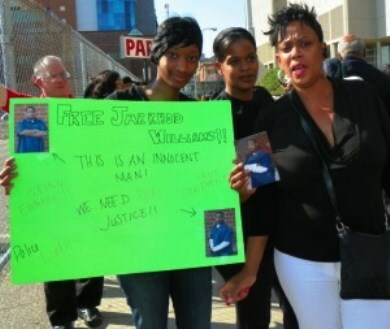 Jarrhod WIlliams’ sister Dominique Manuel and mother Valerie Watts marched with Crime Lab Task Force in 2011. 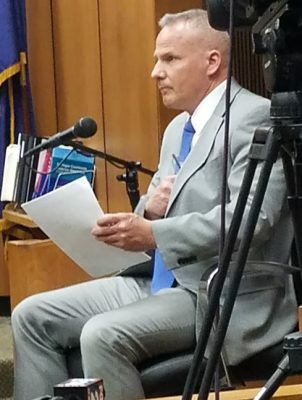 During testimony by Detroit Police evidence technician Patricia Little on ballistics evidence from the Segars killing, Kenny made the startling admission that he was involved in the case of Jarrhod Williams, which led to the shut shown of the Detroit Crime Lab in 2008. The MSP found 10 percent of forensic results had been falsified and 42 percent did not comply with scientific forensic standards. “I never thought the crime lab should have been shut down,” Kenny said during Little’s testimony, opening the possibility of a blatant conflict of interest in his participation in Searcy’s case. Kenny presided over Williams’ second trial after his first conviction was thrown out when testimony surfaced that 42 spent shell casings at the scene of the crime came not from one gun, allegedly belonging to Williams, but from two guns. Williams was convicted a second time in front of an all-white jury using the same evidence. Kenny also falsely stated that numerous .45 caliber bullets were found around Segars’ car, when in fact Attorney Dezsi presented a police report (above) saying that numerous .40 caliber bullets were found around Segars Corvette, but several .45 caliber bullet casings were found ACROSS THE STREET in a store parking lot. That was consistent with Smothers’ testimony that he approached Segars’ car from behind, repeatedly firing his .40 caliber gun, and then shot Segars in the head at the driver’s side window. It was also consistent with the testimony of witnesses who said they saw Detroit police firing at the driver of a burgundy Marauder after the police crashed into his car in the parking lot, where the .45 caliber casings were found. Judge Kenny claimed that the detailed account Smothers gave from the stand had nothing new in it and could easily have been obtained from Searcy himself, since the two were incarcerated together for a brief period in the Macomb Correctional Facility. However, in an affidavit, Searcy denied having any direct contact with Smothers, and said he informed his unit officer that he had heard Smothers was at MCF. He said Smothers was a Level 4 prisoner, while he was in a separate division at Level 2, and that the two levels are not allowed to mix. Read Searcy’s affidavit at http://voiceofdetroit.net/wp-content/uploads/Searcy-aff-re-how-he-got-Smothers-letter.pdf. The interview of Vincent Smothers above about his killing of Jamal Segars was conducted by private investigator Scott Lewis. Searcy said he was transferred out of Macomb to Chippewa Correctional Facility shortly after disclosing the information to his unit officer. He neglects to mention that this information did not come from Smothers’ own testimony, but from the vague, rambling testimony of State Trooper Christopher Corriveau, who had no documents or notes to back up his allegations. Smothers testified he recanted his first confession after being told that it would hold up the exoneration of Davontae Sanford for murders Smothers confessed to. Smothers unexpectedly refused to have his attorney, Gabi Silver, represent him at the Searcy evidentiary hearing. She had advised him to plead the Fifth Amendment. Her similar advice in the case of Davontae Sanford prevented Smothers from taking the stand himself there, to admit to the four 2007 Runyon St. murders with which 14-year-old Sanford was charged. That further delayed Sanford’s release. 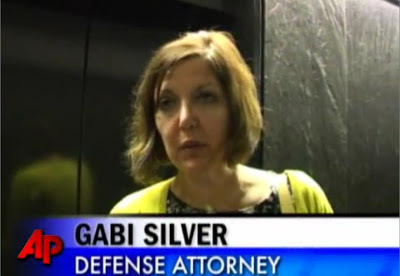 Silver claimed during hearings on the murder of Rose Cobb that Smothers was “coerced” into confessing. Searcy told VOD by JPay email, “As a sworn officer of the court [Judge Kenny] has openly violated his oath of preserving the integrity of the court, by misleading the public and the court with a perjured opinion. Inside of my Homicide investigative file you will find a hand written report of the crime scene which outlines exactly where the shell casings were located. Kenny openly lied stating .45 calliber shell casings were found around the victim’s Corvette. He further avoided the question that the jury asked about the weapon used to kill the deceased. He told the jurors that they didn’t know. He committed perjury along with the prosecutor and my former attorney. During each hearing, the courtroom was packed with Searcy’s supporters.